Another challenge was finding quality places to run close to my house. Basically I have three choices: a track, a treadmill at the family gym, or a running path with a decent view of Mt. Fuji on clear days. Kind of an adjustment from the assortment of beaches and trails I had to choose from in SoCal. After a few weeks, I basically lost my running motivation and began just running minimal miles each week. I stopped focusing on running so much and started embracing the Japan life. Then I missed the idea of having running goals and began running a little bit more. I started taking advantage of the track (speed work anyone?) and started aiming to run a little more (or a little faster) each week. In December, I did the WeavRun streak challenge and successfully ran for 30 days straight. The streak really helped motivate me to challenge myself and work on cadence. I even started to incorporate more strength work and found out that I love kettlebell swings, box jumping, and ball slamming! I took the time to not only reset physically, but also mentally and spiritually. I decided to write out some goals for the month, the year, and next few years. After my little running sabbatical, something magical happened… IT SNOWED! And I HAD to run in this winter wonderland since I knew it would only last a day. I ran slow so I wouldn’t fall, but it was super refreshing and peaceful! I’ve even discovered some beautiful running paths in the nearby parks. The forests in Japan are green and super dense, which makes for some peaceful and reflective running. What I discovered through this transition was that I don’t NEED super lofty race goals or shiny medals (although those are nice) to enjoy running. The break reminded me why I started running in the first place. Because I LOVE it! Sometimes preparing for races can get stressful, so I realized that I actually needed a break from all the bling chasing. It finally dawned on me that I don’t HAVE to run…I GET to run!! Last week, I went out on a run with no pace/distance goal at all. I just slowed down, took in my surroundings, and enjoyed the run! I fell back in love with running by letting the run lead me instead me leading the run. So what’s next?? Well the SWAG is not lost, y’all! I’m still an ambassador for Bibrave and this year I will be an ambassador for Sweat Pink too! Okay, back to the races. Races aren’t really that prevalent in my area, but I’ve kind of enjoyed having my weekend mornings open to new possibilities. However, I do have my eye on a couple of local races coming up…so stay tuned! Also, I’m excited to announce that I will be participating in some Virtual Races this year too! So I will be reviewing those as well! I’m also working on possibly starting up a mom’s running group in my community because I’ve had a few new moms ask me about where to start with running. And I would love to share the running LOVE! I’m really glad that I have found my love for running again and I can’t wait to share my excitement and motivation with everyone else this year! Well it’s the holidays, y’all! We are all running around fighting traffic and crowds, making ourselves exhausted, and probably eating quick meals. So because of this busy season, I will make this review short and sweet! Ucan also makes other products including snack bars and hydration supplements. Ucan (see what I did there? 😉 explore their other products here. Ucan is unique in that they include an all-natural SuperStarch that helps to stabilize blood sugar and energize your body. Ucan also comes along with a heartwarming story about the founders’ son Jonah. Because of Jonah’s hypoglycemia, his parents committed to fundraise and bring awareness to this life changing SuperStarch. So how does it taste? Well I’ve tried many different protein powders in my day and I can say that Ucan has it’s own unique flavor. Depending on what you mix it with, this can be good or bad…but more on that later. First, I flipped through the recipe book and bookmarked a few recipes that looked appealing. I slightly modified my smoothies a bit, but they were pretty close! I made both of these as breakfast smoothies and I felt fulfilled with sustained energy levels until around noon, so I can say that it did its job. The flavor isn’t too sweet, but I couldn’t drink it with just water alone. Although to be fair, I can’t really drink any protein powder with just water. Mixing it into a smoothie helps to disguise the flavor a bit. I think next time I would add in some veggies, like spinach and kale for some extra nutrition. Then I mixed the Ucan with hot water to create a pudding. The chocolate was pretty good with strawberries. I think it would be even better with a mixture of fruits and granola. You could even make some pre-made parfaits by putting the pudding, fruit, and granola into some jars and storing them in the fridge for a couple of days. The vanilla pudding with the bananas and cinnamon was a different story. It was an odd combo of flavors. I think this mixture would be best as a smoothie rather than a fruit dip. Overall, I enjoyed the Ucan protein powder. I probably wouldn’t use it as a meal replacement just because I have a hard time drinking my calories (I need to chew something up to feel full, I guess it’s a mental thing.) But I would use it as a recovery smoothie after long runs or a hard training session. What are your thoughts on protein powders? Would you give Ucan a shot? Ucan leave your thoughts below. I would love to hear! 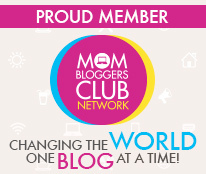 And right now you can save 15% on all Ucan products by using code “BIBRAVE”. **Disclaimer: I received the Generation Ucan protein powder to review as part of being a Bibrave Pro. Learn more about becoming a Bibrave Pro and check out Bibrave.com to find and write race reviews. If you’re like me, at one time or another you have tried running while juggling at least three things in hand…and not like one of those cool running juggler people either. More than likely, you probably look uncomfortable and not to mention inefficient. Which is why I was stoked to learn about the SPIbelt! I’m gonna go ahead and state the obvious…yes, it kind of looks like a glorified fanny pack at first…but I assure you…they are much cuter and less bulky than a fanny pack. And if by chance you DO love fanny packs, then I am confident that you will also love this SPIbelt. And it came with some SWAG! Yippee! It also came with some instructions, which is perfect for us visual learners. So before I tell you about my experience with the SPIbelt, let me tell you how I lived life without one. Now, I usually push a stroller on my runs which normally blows cause of the extra weight, uneven terrains, hills, etc. However, the one great thing about pushing a stroller is that you always have a place to store your things. My Bob Revolution has cup holders, zippered pockets, and a huge storage basket. It’s basically like the Cadillac of strollers. But a couple of times a week, I do have the opportunity to run stroller-free and this is where I run into logistical problems. Where do I put my keys, cash, phone, etc.? Most running shorts don’t have pockets. At best, there is a tiny inside pocket that will hold one key and maybe some cash. I’ve had to run many races with my key tied to my shoelaces, money hidden in my shoe, all while holding my phone. It’s awkward and annoying. Which by the way, phones are getting bigger so they aren’t as easy to hold for 3+ miles anymore. So I was overjoyed to finally try a SPIbelt! It was perfect timing since I am training for the upcoming Carlsbad Half Marathon and I have been adding in some longer runs. I couldn’t wait to ditch the kiddos so I could try this puppy out. It was super easy to put on and adjust before heading out for an afternoon run. It took a little time to get used to running with it the first time. It almost felt like trying to run when your six months pregnant. The extra weight on the lower part of your stomach feels awkward at first, but then you get used it after a mile or so. I was really surprised at how well if conformed to my body and didn’t bounce throughout my runs. Even when climbing some pretty steep stairs! I also liked that I had place to store my pepper spray! Another one of my running adventures was to Sunset Cliffs in Ocean Beach. This is also a very hilly and windy area and I liked being able to store my keys and phone without the worry of my things falling off scary cliffs. Another great time to use your SPIbelt is when taking your dog on the run! It’s a great place to store baggies so you can quickly clean up after your dog and continue on with your activity! So let’s talk about the functionality of the pocket and the loops. I’m not a huge energy gel person just because I’m not a fan of most of the tastes and textures, but I like the energy blocks or anything that has more of a “gummy bear” texture. The loops were kind of tight and I had to work to get anything in there. Design wise, I imagine it’s to keep the SPIbelt as small and flexible as possible…but function wise, I wasn’t a huge fan mostly because I don’t have a ton of patience for that type of stuff. Not a big deal though, because I can easily throw the energy supplements into the zippered pocket part. And speaking of the zippered pocket, I thought it was great except for one thing – Getting the phone in and out was kind of a hassle. I think if I had taken the case off (I have an iPhone 6S), it would have fit a little better. However, due to my children I never take the case off. I also run with Bluetooth headphones sometimes and I felt that at certain points during the run (mostly if I had to stop), the phone and the headphones didn’t sync as well – meaning the song would go in and out or completely stop. But it was only if I stopped in certain spots and wasn’t a complete deal breaker. The other issue is if you want to change a song or if you needed to pause your run (like when using a running app). I typically run with a Garmin so pausing or stopping wasn’t an issue, but changing a song or declining a call was kind of a pain. If you are going to keep your phone in there with a few other things, I suggest trying to keep it in there for the duration of the run. Or else you will be spending extra time trying to squeeze it back in the pocket. I think the SPIbelt Performance Series comes at a reasonable price as well – $25.99 with free shipping on U.S. orders. And you can save 20% using code “BibChat2016” until November 18th, 2016. There are also come nifty accessories that you can add, like a race bib holder (so you don’t put holes in your fancy race day shirts) and an H20 companion. Overall, I really liked the SPIbelt and I know I will be using it more as the half marathon draws closer and my runs become longer. I think it’s a great tool that all runners should check out and they make great gifts for a runner in your life! I know I’m grateful for mine! *Disclaimer: I received the SPIbelt Performance Series for free to review as part of being a BibRave Pro. 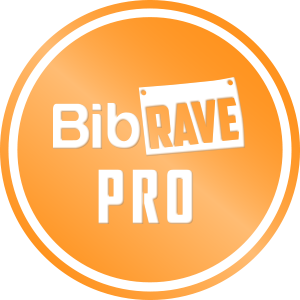 Learn more about becoming a BibRave Pro and check out BibRave.com to review, find, and write race reviews!